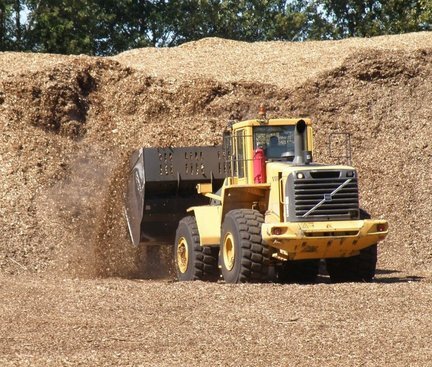 It is one thing to use wood biomass for energy from regular timber mill waste, wood that has already been trucked to a central location and must be gotten rid of by some means anyway. It is quite another thing to cut down trees exclusively for burning. I have yet to see a study of the Energy Return on Energy Invested for wood biomass, but I suspect it isn’t any better than for ethanol from corn, which can actually have a negative EROEI. There were thousands of years of civilization before fossil fuels came into common usage when wood was the only energy source for everything: heating, cooking, smelting and shaping metals, glass making. The results of that are historical fact, the devastation of forests from Mesopotamia to Britain. Pray that we do not return to using our forests like that ever again. If we do, the current global population could desertify the entire planet in short order. But I do live in a wildfire region of Oregon, and I recognize that a high percentage of the wood biomass in the mountains around me will, in fact, eventually burn as it has been for millions of years. Native Americans used fire intelligently to cleanse the land on a regular schedule to prevent fuels from building up to catastrophic levels. The last century of unquestioned fire suppression has been a disaster and will be very difficult to correct. The down-dead fuel is out there and needs to be burned in a controlled fashion or it takes the whole forest with it, as it often is these days. One thing that surprises me about the wood biomass energy debate is that no one else seems to have thought of taking the electricity generators to the wood instead of taking the wood to the generator. Electrons are a lot lighter and cheaper to ship than wood, and the ashes could then be scattered directly back into the forest soils they came from. Put the generator on a self-propelled tracked vehicle that feeds its own boilers, and run a temporary powerline umbilical cord back to the nearest permanent electric grid. We lose a third of electric power in transmission. The farther you transmit the more you lose. That’s why it’s more economical to ship coal by the train load to the power generating station than to simply place generating stations at the coal sources. I realize that that power is lost in transmission, but the amount varies by distance and the voltage it is shipped at (hence the extremely high voltage in long-distance transmission.) Most of my electricity in SW Oregon comes from coal-fired plants in Wyoming, where the plants are built as close to the coal fields as possible so they can ship those light-weight electrons instead of the coal. I’m sure some very good electrical engineers have run all the numbers on this, and if it was more efficient to ship the coal than the electricity there would be a generating plant somewhere within a hundred miles of me. Because there’s a huge efficiency loss in extracting the energy from the coal to turn it into electricity, there’s no point in shipping coal great distances only to absorb that loss somewhere else unless you absolutely must. Hence the coalfield plants in Wyoming. Or, another explanation is that energy market manipulators have corrupted the system and gotten you to pay for the massive inefficiency of long distance electrical transmission. High voltage transmission has been around for quite some time but was never utilized in place of rail transport until the Enrons of the industry became politically dominant and forced through all of their agenda for the creation of “market driven” electricity pricing. Rail transport of coal is actually quite inexpensive as is the transport by pipe of natural gas. The way the system has been re-designed, utilities only pay for power that they draw from the transmission line at a price which completely fails to account for the power lost in transmission. This arrangement is ideal for the Enrons of the industry but has proven to fail serving the interests of consumers. Rates certainly have not come down. Wood-based biomass works, but is ecologically detrimental. Biomass does cause “pollution”… at least a plant designed solely for biomass burning. A biomass based on an easily grown plant with the possibility of multiple crops per year is much more suited over wood. Plants like hemp have enough uses such as textiles, paper, and seed oil, and enough of a crop to actually be coupled with a biomass facility that would be taking vast amounts of chemical feedstock from a process, as well as generating a carbon-neutral (carbon-negative if products as well as enery are considered) energy supply. Trading years of wood for days of energy is wrong.